As a qualified freelance lawyer, I have a lot of experience in the corporate world. I understand how it works, and I know what makes a good corporate event. I also know what makes a good wine! No matter what size, setting, time or tastes you're catering for, I work closely with you to make sure you get the perfect event. I can organize everything, including location, food and the wines themselves. Or if you've got all that sorted, I can just come along and guide your tasting. It can be as long as you like, and as detailed as you like. 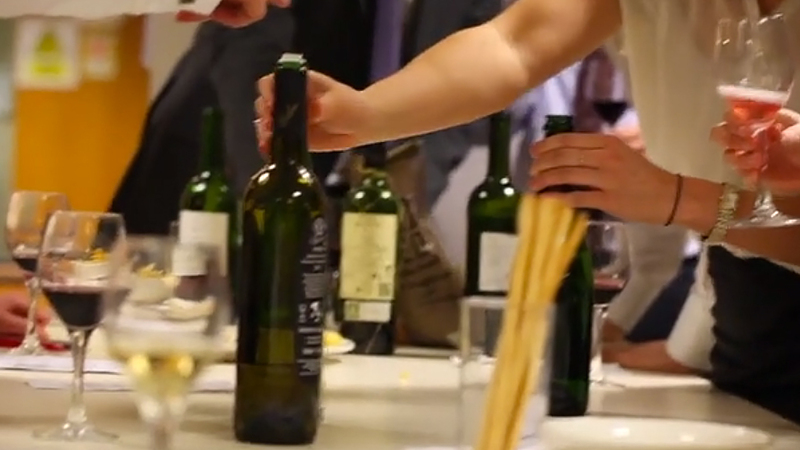 You pick the format (seated/ standing; guided/ self-serve), the number of wines, the types of wines and the theme. Then on the night - sit back, sip, enjoy. Prices start from £20 per person. Simply get in touch for a chat about how I can help, and a personalised quote. As shown in the photos below, the blind tasting format is a fun twist to use for your corporate (or private) event, or consider some of the themes suggested above.